There is a 50+ ft Bald Cypress growing near my property line. While the tree has grown substantial knees along the driveway and some as far as 35 ft from the tree in my flower beds, I do not see any damage to my concrete slab driveway. My neighbor wants the tree cut because they think the tree is damaging their slab driveway. Granted the tree does have numerous knees near their driveway that interfere with mowing their grass border. Has the Bald Cypress been known to cause damage to slab driveways? Is there a way to stop the knees growing in the neighbors yard? If worst case comes and I'm told to cut the tree, what happens to the stump, knees, and root system? How long will it take to rot out or will the neighbor need to dig up his lawn to get rid of the knees? Taxodium distichum (bald cypress) is noted for its "knees" which appear in poorly drained situations. That is why it can survive at the edges of waterways and in planting spaces in parking lots, because the knees keep it from suffocating. 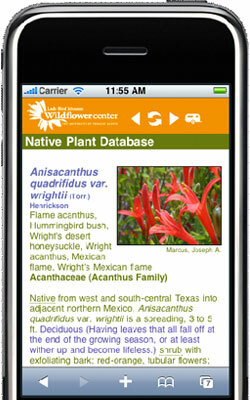 It is native to the Harris County area and can grow at a moderately fast rate to 50 to 75 ft. tall. "Surprisingly, the roots do not appear to lift sidewalks and curbs as readily as some other species." "Baldcypress can also be grown in dry locations and makes an attractive lawn, street, or shade tree. Cypress knees do not generally form on these drier sites. Another website you might want to look at is Floridata, Taxodium distichum, from which we drew this quotation (the emphasis is ours). "Bald-cypress makes a fine specimen tree for very large landscapes. They are best suited to wet areas, lake margins, and the like, but as noted above, they will thrive in normal, even dry soils. The feathery pale green foliage is attractive in spring and summer, and again in fall when it turns reddish. A nice shade tree in summer, bald-cypress lets the sun shine through in winter." That would seem to be it in a nutshell, it's a lovely tree, grows well in wet or dry soils, but it needs a much bigger territory than you and your neighbor appear to have. We really have no idea what the legal requirements would be under these circumstances, and your resolution probably depends on how well you get along with your neighbor. The tree isn't going to get any smaller, and it can live to be 500 years old. We have a feeling the roots are going to need grinding, and it probably will mess up the neighbor's lawn. We recommend you contact a trained, licensed arborist and get his opinion on what needs to be done, perhaps sharing that information with your neighbor, and together decide what to do. March 21, 2012 - I am trying to identify a tree that has a green rubbery look with long, sharp, green thorns. This tree is on my property in Conroe, TX and the soil type is Gladwater clay frequently flooded.